Automobile vector footage of a luxurious car. Bright color Bugatti Veyron with glowing headlights. Free vector to design cars, automobiles, vehicles, luxurious cars, motor companies, fast cars, driving, speed, traffic and transport visuals. 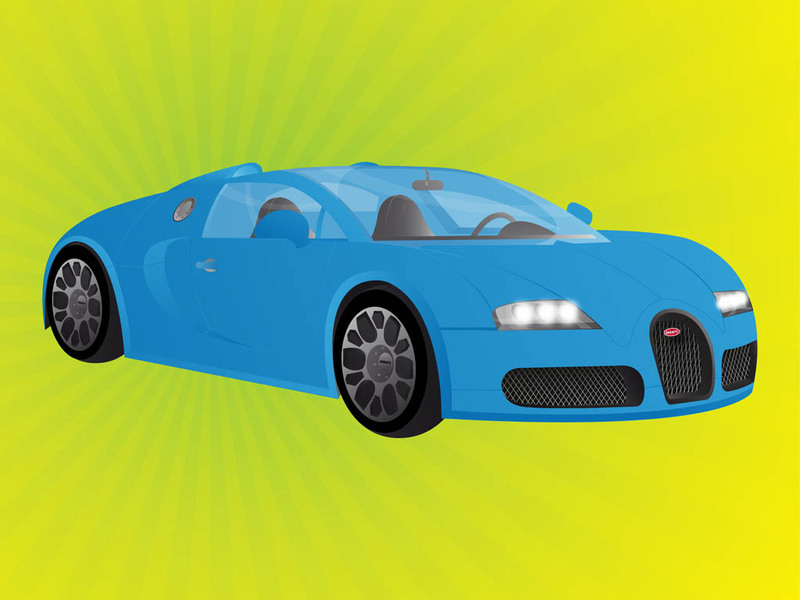 Bugatti Veyron graphics for posters, ads and wallpapers. Tags: Auto, Automobile, Bugatti Veyron, Car, Drive, Luxury, Race, Vehicle.